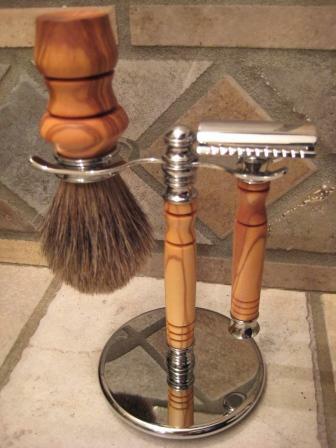 Beautiful shave sets handcrafted by our son are now available in Bocote, pictured in top photo, or Bethlehem Olive wood, pictured in bottom photos. 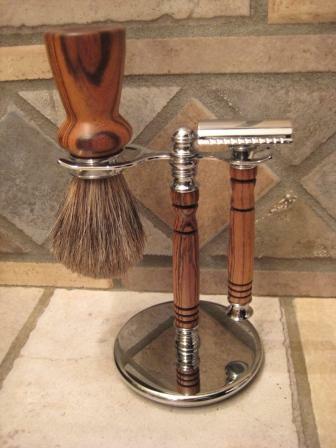 Brushes are silver tip badger and set comes with your choice of either DE safety razor or Mach III; choose from drop down menu below. Complete sets are available for purchase online. 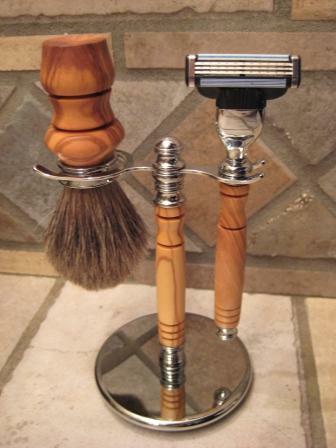 If you prefer to order brush or razor separately, please use "contact" link at bottom of page for custom order.